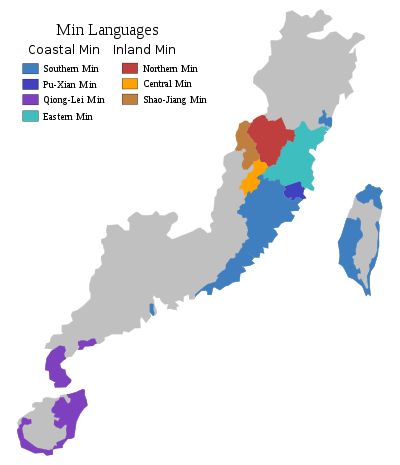 Haikou dialect is a dialect of Hainanese which is spoken in Haikou, the capital of Hainan province of China. There are also two syllabic nasals, /m̩/ and /ŋ̍/. ↑ Chen (1996), p. 4. 1 2 3 Chen (1996), p. 5. ↑ Yan (2006), p. 142. Chen, Hongmai (1996), Hǎikǒu fāngyán cídiǎn 海口方言詞典 [Haikou dialect dictionary], Great Dictionary of Modern Chinese Dialects, 16, Nanjing: Jiangsu Education Press, ISBN 978-7-5343-2886-2. Yan, Margaret Mian (2006), Introduction to Chinese Dialectology, LINCOM Europa, ISBN 978-3-89586-629-6.